Tablet UI: to show the Event view sidebar and a settings page to customize the numer of toggles displayed per row. Force large covers: to force large covers on the homescreen. Large padding in Launcher: increases the padding in the launcher. For the best result, you may want to tune your device pixel ratio with the UI themer. Thanks to Dax89, luca247, AliNa and Ancelad for support and patience! - Sailfish OS 2.2.1 compatibility. - Sailfish OS 2.2.0 compatibility. - Large padding in Launcher patch. - Settings icon hidden (thanks to Ancelad). Doesn't work in Sailfish 3.0.2.8 Oulanka and it won't uninstall at all. Any solution at all? I don't understand witch sidebar you mean ? Hi, do you plan to update this patch for sfos 3 support ? Tks a lot. Can you send it to me? Could you find it? I'm sorry but I'm not allowed to. I suggest you to contact him. Name of the icon theme please? It's an unreleased theme by chenliangchen. And how to use single or 3 columns? Especially single. Single column of toggles? It's not possible, but you can activate the 2 columns layout in Patchmanager. Seems not work in SFOS 2.2... Will you continue update it? Yup, in the following days. I don't have an Xperia, I tested it on my Jolla C and it uninstalls flawlessly. my favourite patch. can we have a separate option of using rows instead of columns ? i wanna see how that looks like, event view divided in two halves, one for toggle and other for notification . Sorry for the late reply. 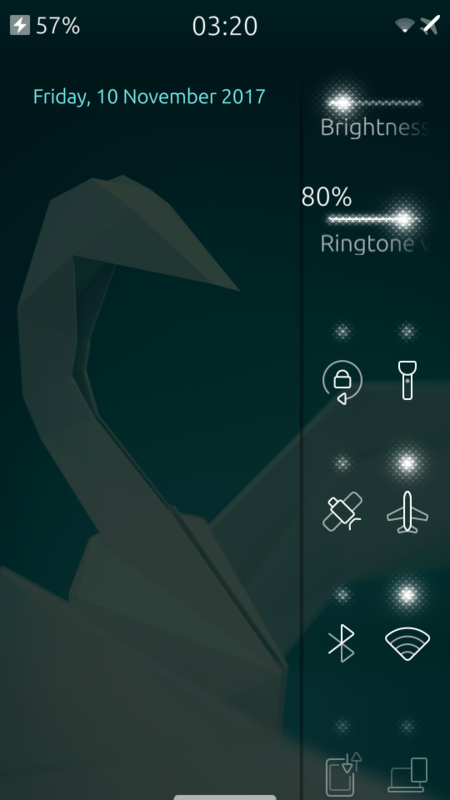 I don't think such a component exists in Sailfish OS. Is it possible that we can customize the placement and spacing of quick actions sidebar? As the position of brightness slider is where the finger sliding screen, I often change the brightness by mistake. That's why they hid the sliders from the sidebar in the original design. :D Getting new habits is easier. Will be great if we can have also the SIM selector on the top. Adding some lines from Events pulley will do it, but it appears even on JP1 with only 1 SIM – I couldn't figure it out.